What if they threw a war and nobody was into it? In Domains Of Meh, the great empire is clashing, but nobody, it seems, in any of the warring states, is actually that interested in having a fight. And so, when armies approach an area, all the smaller armies very quietly and graciously leave the field, because they’ve got other things to do, and did you see the time, and what’s more, another thing. You’ll send an army to hold some terrain, and have to see who else goes to fight over it! Command Dwarves (that brought packed lunches) and Orcs (who think this is like a sports match?) and Elves (who are prepared for a recital) and a contingent of humans (who aren’t even sure what they’re doing here). Domains of Meh is a trick-taking area control game, where the rarest terrain is worth the most, and the trump changes from battle to battle. Designed to be quick to play and focus more on managing your hand rather than grisly details of war, come down to the Domains of Meh to enjoy a most polite of territory battles. Using bright, pixel art and a retro SNES-era aesthetic, Domains of Meh is approachable and quick game where you won’t need to shuffle after the set-up and don’t need to anticipate draws or manage expanding complexity! 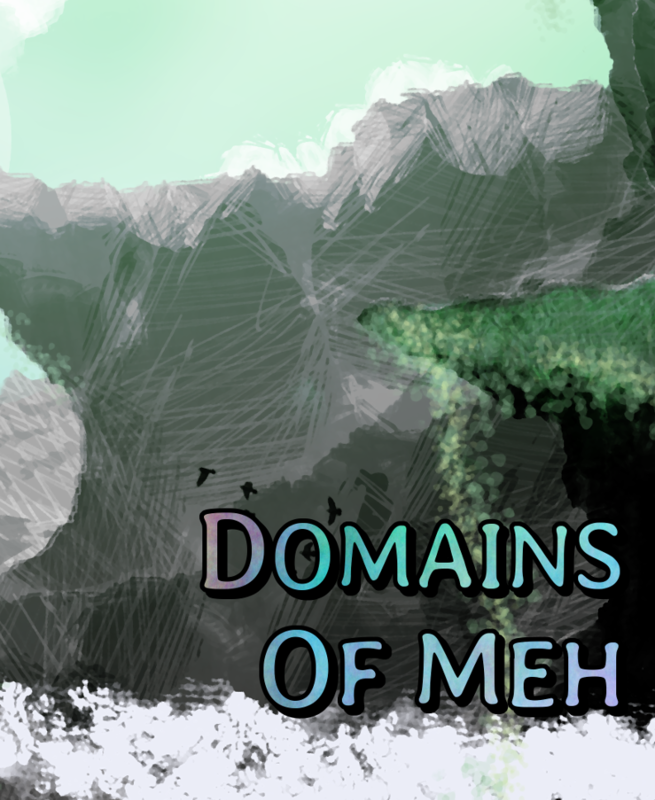 Want to Buy Domains Of Meh? For international customers, you may prefer to buy print-on-demand via DriveThruCards (the same printer we use for our local stock). You can buy Domains Of Meh at DriveThruCards as a professionally printed card deck. Already bought Domains of Meh? Download the latest revision of the The Domains of Meh rulebook. You can also follow us to receive notifications of rules updates!